Born in St. David's, Wales, Britain's smallest city, situated in the Pembrokeshire National Park and on the 180 mile National Park Coast Path, Mrs. Lines spent her early years enjoying the beautiful beaches and countryside. After graduating, Mrs. Lines taught just north of London for several years then the Lines family moved to Germany where Mr. and Mrs. Lines taught for seven years. In school vacations the family traveled extensively all around Europe. Mr. and Mrs. Lines moved to Taiwan in 1981 to found the Hsinchu International School. Over the past decades they have extended the school from a small two-teacher building to the full international school it has become, now entering its 35th year with the same leadership. For many years, Mr. Lines was responsible for the upper grades at HIS. A published author, Mr. Lines has for some time been committed to writing alongside his responsibilities at HIS. Mrs. Lines decided to be a teacher when she was in Kindergarten - from three years old she was frequently “missing” from home and was always found in the school nearby! 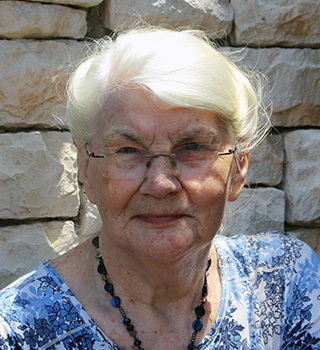 During her teaching years she developed the conviction that alongside teacher expertise and content knowledge, school atmosphere and teacher approach are the most vital components in education if children are to develop a true love of learning and of life. She feels very fortunate to be able to fulfill her ambition of fully implementing this philosophy in HIS, employing teachers who share the same goals to create a strong and progressive learning environment for the HIS school family, characterized by an atmosphere of warmth, caring and security. She believes that all age ranges have their own unique appeal - and their own difficulties. Every child has something very special which will respond to love and humour. Previously being responsible for students from Pre-K through Grade 8, Mrs. Lines is very happy to be able to focus her energy primarily on the Elementary Department now that HIS has a mature full Secondary Department. When there is time, Mrs. Lines enjoys reading, travelling, swimming, theatre, opera, watching rugby, music, walks in the countryside, and anything to do with nature. Her ambition is to further improve HIS, to travel more with her immediate family, to spend more time with her family in the UK. Mr. and Mrs. Lines have two sons (in Taiwan), a daughter (in England), and two grandchildren (both graduates of UBC). Born and raised in South Africa’s Capital City, Pretoria, Ms. Barry is the youngest of five children who are spread around the world. After graduating with a Bachelor of Arts degree, Ms. Barry furthered her studies with a Teaching Diploma. On completion, she taught in South Africa for nine years, before changing her beloved home country for Taiwan, primarily because of her love of orchids and an interest in experiencing a different culture. Ms. Barry started teaching in Hsinchu in 2005. Ms. Barry previously taught at HIS for three years, then taught ESL at Guan Dong Elementary School, and finally returned to H.I.S to teach the Grade 6 class for three years. In 2015 Ms. Barry made the move from the classroom to the office. She has enjoyed the challenge of not only working with the students but also getting to work with the parents. Having taught students from Grades 1 through 12, Ms. Barry enjoys working with all age ranges and finds difficult to choose an age preference. Alex was born in Hsinchu. He is very approachable and easy to get along with, both in and out of the professional environment. He sees it as one of his most important responsibilities to try to better his capabilities and continue on the road of learning. Alex was a diligent learner at school and that really helped him while doing research in graduate school. His graduate thesis was on the bond pricing of Financial industries. Having previously held the position of branch manager of the Hsinchu District China Trust Commercial Bank, Alex has broad experience in accounting. Besides bringing his expertise in accounting services to HIS, it is his aim to improve his English language skills. 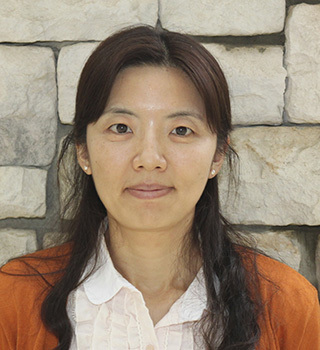 Born in ChangHwa, Taiwan, Mrs. Hu graduated from the Foreign Languages Dept. of TungHai University in Taichung. 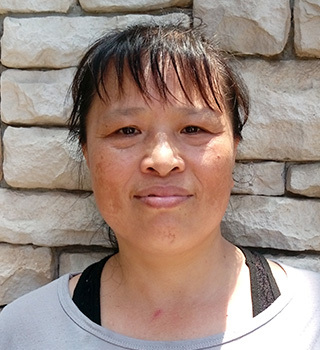 She is married with 3 children; her daughter, Judy, studied in NEHS for 6 years, then transferred to local school and graduated from TungHai Univ. She received a full scholarship to the University of Georgia where she is now in the third year of her Ph. D. program in the Chemistry Department; son, Ming Yuen, is studying for his Master's Degree in Economics in Chung Chen University, ChiaYi; youngest daughter, Katherine, studied at HIS and is now enrolled in the English Department of Chang Gung Univ, Tainan. 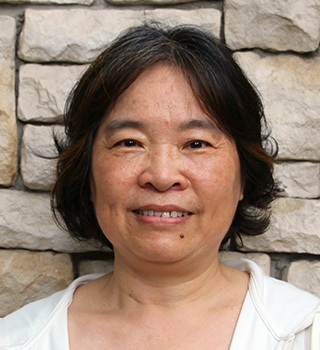 Mrs. Hu's husband, David, is a Professor of Industrial Engineering at ChiaoTung University. She has been at HIS for 19 years in Pre-K, K, Grade 1, and Grade 2, and for the past three years, in the Elementary Department Administration Office. 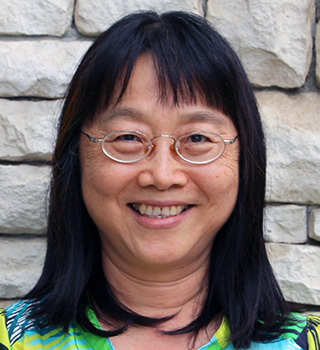 Mrs. Hu and her family lived in the UK while her husband was doing research during sabbatical. They traveled extensively in the UK and Europe and enjoyed the completely different European culture and tradition including a visit to Wales to spend time with Mrs. Lines' family. Coincidentally, Mrs. Hu and Ms. Changlin Huang first met at Purdue University 26 years ago when both their husbands were in Ph. D programs there. They have now been together at HIS for 16 years. 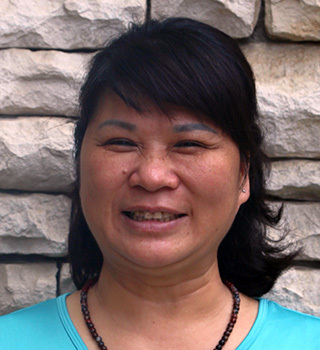 Outside school, Mrs. Hu’s hobbies include traveling, reading, crafts, music, and hiking. During the last school year, she was one of the intrepid HIS group to climb Jade Mountain! Her ambition is to travel the world! 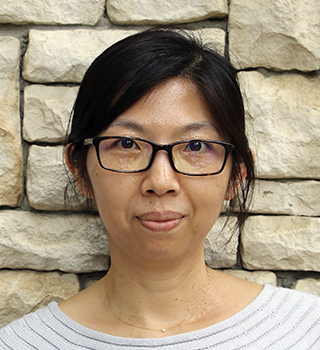 A native of Hsinchu, Ms. Lee is a familiar face in the administration department over the past few years, though she has a much longer association with HIS, having been a Kindergarten helper back in the very early days of the school in the late 1980’s! Ms. Lee has two children, a son and daughter who have been at HIS since Kindergarten. Her son, Aled, was a member of the first HIS Graduating Class in 2009, and has since graduated from the University of British Columbia in Canada. Her daughter, Eira, also a recent UBC graduate, is now the librarian at HIS. Ms. Lee loves meeting people, making friends, and helping children. She really enjoys all her daily interactions with the great HIS family. Her ambition is simple – to live a happy life! Naomi was born and raised in South Africa. After finishing high school she travelled around the world for 4 years meeting many interesting people, eating a lot of interesting food and seeing many interesting things. She especially loved Asia because it was so different to what she was used to. Naomi decided to stay in Bangkok where she started teaching in government and bilingual schools. Her initial plan was to stay for only 1 or 2 years, but that turned into 15. She realized she had a passion for working with younger learners during these years and completed her Bachelors of Education Degree in Early Childhood and the Foundation phase. After she completed this she worked in various international schools in Bangkok. Naomi loves working in international schools because of the diversity of the students that she is able to work with. It has taught her a lot about different cultures, she says. She believes that each child is different and develops at a different pace and she strives to adapt her teaching methods daily in order to ensure that each child learns to their full capacity. In her free time she spends time with her three children. They love reading, making things, watching movies and going to new places. Naomi and her kids are excited to start their fifth year at HIS and say they love this school! Nancy is a native of Hsinchu. She majored in Applied English at Ming-Chuang University in Taoyuan. She has worked as a administrator and teacher in the private industry. In 2008 she moved to Switzerland with her husband, where she enjoyed the beautiful scenery and fresh air. In this period, she was busy adapting to the new culture, learning new languages and raising her son. Meanwhile, she taught Chinese to children in her neighborhood. She likes to help and take care of people. This year her family decided to return to Taiwan and start their new life. She is looking forward to joining the HIS family. Nancy likes music, books and documentaries. 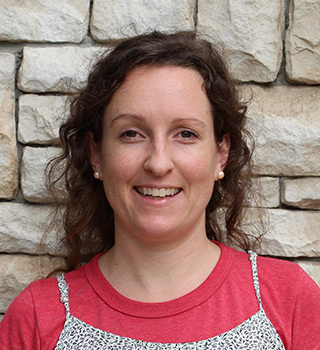 Originally from Leesburg, Florida, Rebecca is beginning her 10th year of teaching. Before moving to Taiwan, she taught in Germany, China and the United States. This is her fifth year at Hsinchu International School. 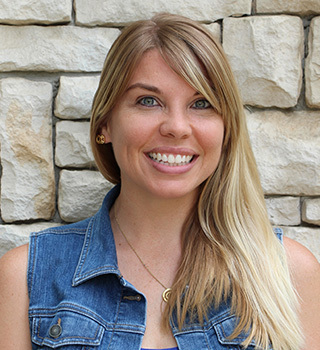 Rebecca attended Abilene Christian University in Texas and earned a Bachelor's degree in Elementary Education with endorsements in early childhood education and ESL. Mrs. Avila also holds a Master's degree in Early Childhood Education from Grand Canyon University in Arizona. Rebecca believes in providing a positive and exciting classroom environment. She loves teaching and building relationships with her students. In her free time, Rebecca enjoys traveling, reading and spending time in the sunshine. Born in Taichung, Mrs. Lee has lived in Hsinchu for 25 years. She graduated from the Overseas University of Taichung and then went on to the University of New Brunswick in Canada, majoring in Business Studies at both. Mrs. Lee is married with 4 children, 3 daughters and a son. 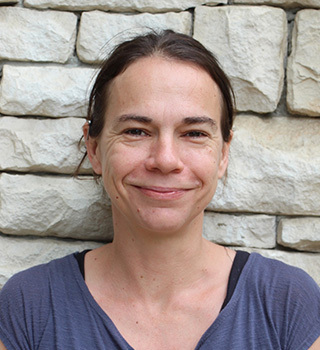 Isabel graduated from the University of British Columbia, Canada, with a high school biology teaching diploma and has been a high school teacher for the past ten years. Melissa graduated from the History Department of the University of British Columbia, went on to Law School at the University of British Columbia and is currently working with the Royal Canadian Mountain Police. Huifang’s daughter, Samantha, is at the Early Childhood Education College, Longoria,Vancouver. Her son Simon, is working at a concertum company in Hsinchu. 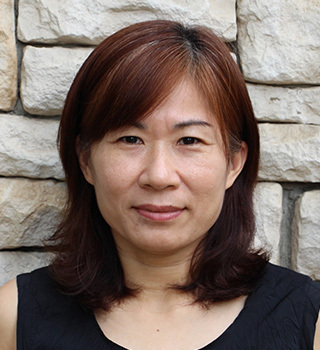 Mrs. Lee’s husband is a Professor of Civil Engineering at Chiao Tung University. She has enjoyed working at HIS for 17 years and is now starting her 18th. Her hobbies include art, dance, painting and reading, and she has a wonderful time communicating these to the students in class or in the music and dance room. Allie was born and raised in a small town in Connecticut, USA. After high school, she attended the University of Maryland, College Park, where she earned a Bachelor of Science degree in Psychology. She completed her Master of Education in Elementary and Special Education at Lesley University in Cambridge, MA in the summer of 2014, and worked in many grade level classrooms during her program. Shortly after completing her Master of Education, Allie moved to Jhudong, Taiwan, and taught as an English teacher for a year. She worked with students of all ages and all English abilities. Joining HIS in 2015, this is her fourth year at the school, and her second year in Grade 1. 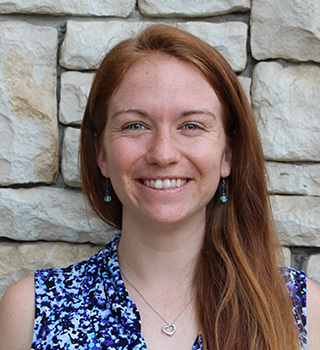 Through completing her Master of Education program and working in various classrooms with diverse groups of students, Allie has developed her teaching philosophy. She believes in setting clear guidelines for the classroom and objectives for lessons, so that students understand the purpose of their learning and how to effectively engage in it. She believes in setting high expectations for student achievement, because all students deserve to reach their full potential. She believes in a flexible, hands-on learning environment that allows students to take control of their learning and supports their interests. And above all, she believes in fostering an environment where all students feel safe, cared for, and that their voices are being heard. In her spare time, Allie likes to immerse herself in nature and explore new places. She also likes to read, sing, take photographs, practice yoga, and spend time with the people she cares about! 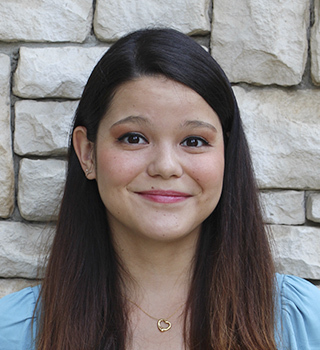 Originally from Chunghua, Sophie earned a B.A. in Economics at Soochow University in Taipei, before settling in Hsinchu in 2000. For the next ten years, she held a number of positions as a teacher, counsellor, and administrator, in the public school system and the private education industry. In 2009, she took some time away from work to raise her two daughters. With both girls now in school, Sophie has returned to the classroom and is thrilled to be joining the team at HIS. Sophie enjoys reading, travelling, and shopping. 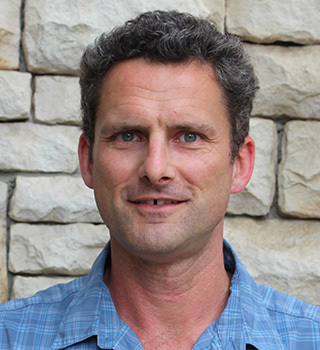 After majoring in Chinese at the University of Sheffield, UK, Peter studied his Post Graduate Certificate of Education at the University of Buckingham, before moving to Beijing where he taught at the British School for five years. 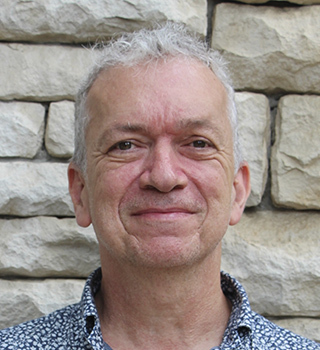 In 2010, he returned to the UK to study a Masters Degree in Translation and Interpreting at the University of Nottingham. 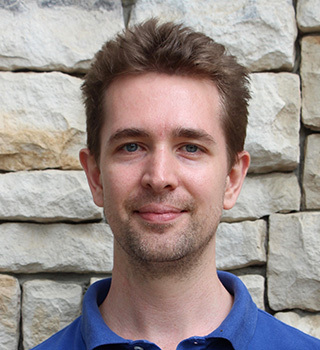 Having enjoyed life in East Asia, Peter then went to work at another British school in Malaysia, before coming to Taiwan in 2013 where he taught at HIS for three years. In 2016, he took a sabbatical from teaching to get married and to set up his own business in Taipei. In 2017, he returned to HIS and is now starting his 5th year here. Mr. McSweeney’s biggest interests are sports and reading. He is a Leicester City fan (soccer), Leicester being his hometown, and also regularly watches tennis and snooker. His favorite books include classic novels such as A Tale of Two Cities and Dracula as well as science fiction such as Dune, Rendezvous with Rama and Fahrenheit 451. His favorite children’s books are Matilda, The Twits, The Chronicles of Narnia, Artemis Fowl, and The Lord of the Rings. 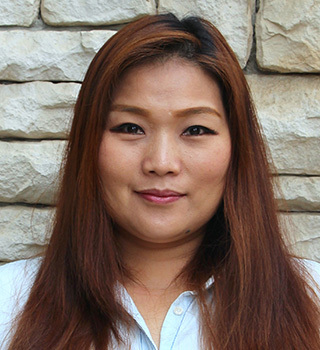 Ms. Eira was born and raised in Hsinchu, Taiwan. Upon graduating high school at Hsinchu International School, she travelled to Vancouver, Canada to study at The University of British Columbia. She graduated with a Bachelor’s degree in Art History and enjoyed courses in Children’s Literature. Eira worked as librarian at HIS for a year and has since been a frequent familiar face as substitute teachers in a variety of classrooms. In her spare time, Ms. Eira likes to travel overseas, explore Taiwan, bake/cook, and spend time with her friends and family. 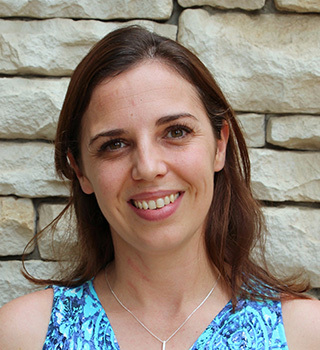 Julia is from Massachusetts where she attended Cambridge College and received a Master’s degree in Education with an independent study focusing on ESL. She had previously received a Bachelor’s degree in Elementary Education from the University of Vermont. 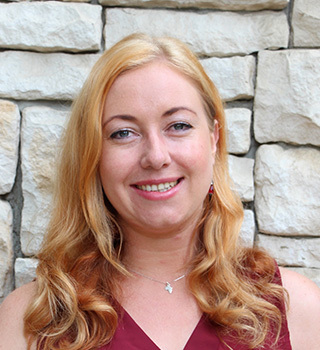 Working with elementary school students in a range of educational settings for over ten years, Julia has international teaching experience in Tianjin, China as well as in private and public elementary schools here in Taiwan. This is her fifth year living in Taiwan and her second year at HIS. Julia enjoys learning about different cultures through traveling and living in Asia and has taken some time to study Mandarin at Tianjin Foreign Studies University in addition to the Mandarin Training Center at National Taiwan Normal University. She’s excited about meeting the new challenges as she transitions from Grade 4 to Grade 2. 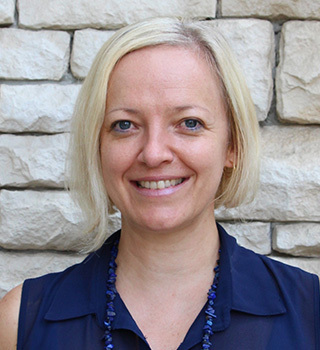 In her teaching, Julia encourages students to become independent thinkers and learners. She believes students should enjoy what they are learning and find ways to express their individuality in the learning process. She also recognizes that students all learn and grow at their own pace and supports students’ individual needs in the learning process as much as possible. Born and raised in a small town in the Eastern Cape of South Africa, Cairan enjoyed a quiet childhood filled with reading books, attending ballet classes, and riding her bicycle on dirt roads. After completing school, she attained a Bachelor of Social Science from Rhodes University, majoring in Psychology and Social Work. Cairan went on to complete her Honours Degree in Psychology. In 2007, she traveled to Taiwan to teach English at a small private school. After a year in Taiwan, she returned to South Africa and studied Teaching. Cairan then taught English at Dong Men Elementary School for 4 years before returning to South Africa where she taught Grade 1 for a time before coming back to Taiwan to join the HIS team. This is her fourth year teaching Grade 2 at HIS. In her spare time, she enjoys doing crossword puzzles, reading, listening to music, and fishing. During vacations in South Africa, Cairan can be found canoeing on the river, barbecuing with her family, or fishing off of the rocks. She feels privileged to be a part of the HIS family and looks forward to witnessing the magic that happens as children learn and become more confident in their abilities! Sam grew up in Albury, a country city in New South Wales, Australia. After finishing high school he moved to Newcastle to attend Avondale College, completing a Bachelor of Education (Primary) specialising in Social Studies. After graduating, Sam worked for six years in a number of private schools, teaching across a wide range of grade levels. Taking a break from teaching, Sam then worked for 18 months in developing countries in Southeast Asia for an NGO. He designed and implemented livelihood and education initiatives. Having found a love for the different way of life that comes with living in Asia, Sam has since been working for International Schools in Cambodia, Thailand and now Taiwan for the last six years. When not at school, he enjoys traveling, experiencing foreign cultures, trying new foods and relaxing at the beach. He also enjoys reading, watching movies, and cooking. Sam is looking forward to getting to know his new students and their families, and working together to help all his students reach their full potential. Originally from Melbourne, Australia, Eddie has been lucky enough to travel extensively, before finally settling in Taiwan. He earned his degree in Media Studies at Deakin University, Melbourne, where he later returned to lecture in television and video production. After a number of years teaching in Taiwan, Eddie decided to return to his studies, and acquired a Master’s degree in Education from The College of New Jersey. Eddie first arrived in Taiwan in 2004, and has since settled in Hsinchu with his wife and two daughters. 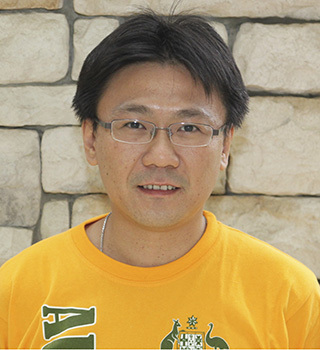 He has been teaching in Hsinchu for fourteen years. This is his eighth year at HIS. Dan grew up just outside of a small town in Wisconsin, USA. Fishing and playing in the river and hills around his hometown gave him a love of the outdoors and nature that he carries to this day. He earned his degree in education at the University of Wisconsin in Platteville. During his university time, he had the opportunity to work with exchange students, particularly from Japan, which gave him a desire to see Japan and the rest of Asia. This eventually led him to Taiwan, where he has been living and teaching for the past several years. When he is not teaching, he loves exploring the mountains, rivers, and beaches of this island on foot and on bicycle. This is Dan’s first year teaching 5th grade at HIS and his sixth year overall of teaching 5th grade. He is excited to learn and grow with his students! Mr. Robus is excited to return to teaching Grade 5 once again this year. He holds a Master’s degree in Social Sciences (Social Psychology/Sociology) and a Master’s in Education and has been working as an educator for just over two decades. After moving to Taiwan, he taught in the ESL field for seven years but really enjoys teaching in a multicultural environment filled with students, parents, and educators from all around the world. Mr. Robus has been living in the Xiangshan district of Hsinchu since he first arrived and is appropriately embarrassed about his inexcusably poor Mandarin skills. He still doesn’t know what he wants to be when he grows up but has decided that this isn’t too much of a concern as long as he continues to learn something new each day. 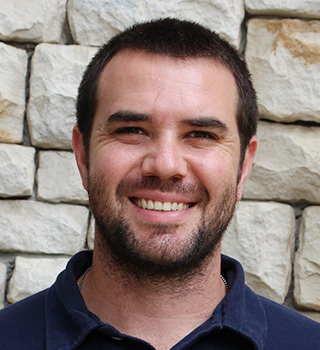 Born in Pretoria, South Africa, Mr. Ferreira moved to Taiwan in 2011 as a teacher, but became much more! He also became a globetrotter and an avid language enthusiast. 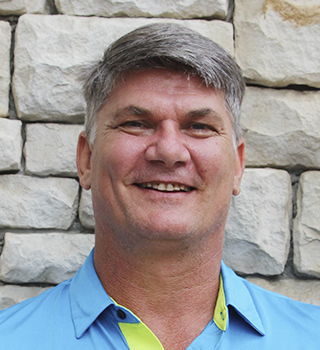 Teaching was not his only original plan as he studied to be a biokineticist, working as a personal trainer while also pursuing his teaching degree. However, teaching became his long term goal. Mr. Ferreira's philosophy is simple and effective: if students are happy and enthusiastic in a controlled, supportive environment, this will help them achieve their goals and succeed in many facets of life! He is looking forward to a great year! David Cotter grew up in the sun and snows of Michigan, USA. He studied at Eastern Michigan University, where he earned a BS with Certification in Education and began to study Chinese. After graduating, he moved to China, where he lived for six years. While there, he taught in several schools, including two international schools, both with students from dozens of countries. David moved to Taiwan to continue his Chinese studying in summer 2013 while finishing a double master’s degree in English as an Alternate Language and English Language Learning through Concordia University, Oregon. He is now returning for his sixth year at HIS and is very excited to continue his work with the children and teachers at the school. David believes that mastery comes through understanding, and understanding is rooted in a desire to learn. For this reason he works hard to increase students’ interest in English language learning in order to deepen their understanding. He believes that all students will learn more when they are truly motivated than they would when they are disinterested in the subject matter regardless of their individual level of ability, background, or prior knowledge of the subject matter. Outside of school, David enjoys traveling and pursuing his hobbies. He has been to nineteen countries and traveled extensively in both China and Taiwan. He enjoys chess, which he learned to play at age five, photography, learning Chinese, and exploring foreign cultures. He also loves to river trace, hike and ride his bike, and has an interest in outdoor activities in general. He hopes to both grow with, and contribute to, the community at HIS in the coming years. Ms. Wright is excited to be returning to the HIS team in her position as an ESL teacher. She attended Rhodes University where she obtained her BA degree in Psychology and Sociology, and she then went on to obtain her teaching degree. Ms. Wright is a passionate reader of books and she hopes to instill that love of books in all of her students. Her hobbies include running and travelling. Ms. Wright believes in a positive and happy classroom where the students feel comfortable to be able to express themselves. Mr. Johnson is a highly celebrated and established artist whose work is held in several private collections in the United States, England, Taiwan, Korea and Hong Kong. He holds an MFA in Painting and Drawing from The School of the Art Institute of Chicago. His artwork has been exhibited most notably at the Watermill Brooklyn Gallery, Byrd Hoffman Watermill Foundation, New York, The Museum of Contemporary Art (MoCA), Shanghai, China and in 2013 was included in the Asian Art Biennial at the National Taiwan Museum of Fine Arts. Most recently his work was exhibited alongside its collaborative partners from the Riverbed Theatre Company at Eslite Gallery in Taipei. He has also worked professionally as set designer and scenic artist since 1993. 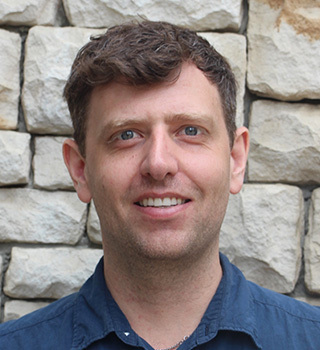 Mr. Johnson has taught at Northwestern University, University of Wisconsin, SCAD Hong Kong and lectured at the Central Academy of Drama, Beijing. In 2004 and 2005, Mr. Johnson was awarded consecutive J. William Fulbright Awards where he lectured and conducted research at National Taiwan University, Taipei, Taiwan. 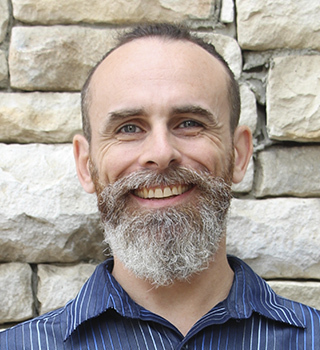 His teaching philosophy is to provide students at all age levels with the skills necessary to find, enjoy and explore their own unique creative voice. When he is not in the classroom or the studio he enjoys reading, listening to classical music and playing with his three children at the park. Mrs. Dora Chang Johnson is a professional Theatre Director and Performing Arts instructor who holds a Master’s Degree in Theatre with a concentration in Creative Drama and Directing from Northwestern University. She has directed more than 25 productions throughout Hong Kong, Taiwan, and the USA. She is passionate about Performing Arts in all its beautiful forms and is eager to share her love and creativity with students from Pre-Kindergarten to Grade 6 at HIS. As a daughter of a diplomat, she has lived in the Bahamas, Indonesia, Hong Kong, and the USA. Currently she lives in Hsinchu City with her artist husband and three amazing children. 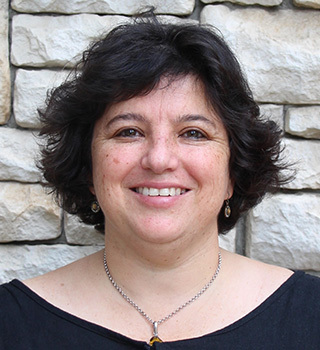 Mrs. Slabbert’s childhood was spent in the Limpopo Province in sunny South Africa, before she moved far south to the Eastern Cape for her studies. She obtained her B.Ed. in Primary Education at the Nelson Mandela Metropolitan University in Port-Elizabeth. After graduating, Mrs. Slabbert moved to Taiwan, initially planning to stay only one year. To date, she has lived here for eighteen memorable and adventurous years! Mrs. Slabbert believes that living and teaching in Taiwan, and the multicultural experience she has experienced in different schools, has expanded her understanding of, and contribution to, the students she teaches. She is very happy to be part of the HIS team. When not at school, Mrs. Slabbert loves spending time with her husband and three lovely, but busy, boys! Family time is an essential part of their daily routine! They enjoy camping, watching movies, swimming and riding their bikes together. They also love, appreciate, and respect this country we live in. With reading being such an important and fundamental part of any education, Mrs. Slabbert is very excited to continue in the position of Librarian at HIS. Her aim is to use her library position to ensure students are encouraged to enjoy reading more and more, and to help them to enjoy exploring the world of books. Casper J.H. 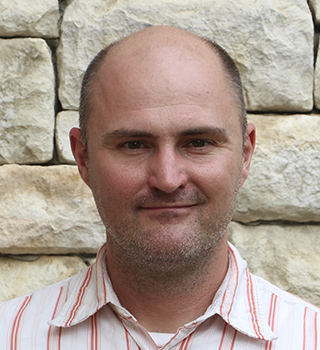 Keller studied in Pretoria, South Africa where he majored in Physical Education with History as his minor subject. The Physical challenges and integrated coursework made it all worthwhile to inspire Casper and he excelled in various physical activities. He received National Colors in Korfball, got invited to compete in the South African Athletic Championship running in the 4km final and has a bronze cross medallion for swimming. He also won two squash tournaments in Xizhi, Taiwan, participated in the Taichung Triathlon event cycling section and plays badminton for relaxation. Mr. Satyajit Padhy hails from the beautiful and vibrant country of India. He received his undergraduate degree from Visveswaraiah Technological University and his postgraduate degree from Amity University. In class, he likes to be called Mr. Padhy. From childhood, Mr. Padhy has had a strong interest in computers and his passion for this has only grown with the years. 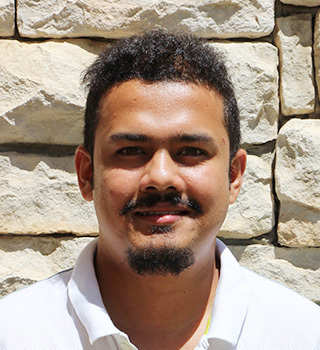 He has conducted various workshops and seminars related to computer studies and technologies for school and college students and he is skilled with various technologies including software, hardware and programming languages. Mr. Padhy believes that learning is a continuous process of acquiring knowledge and, with his enthusiastic approach and attitude, he achieved a special award for Excellence in Knowledge Sharing and Teaching during his post-graduation period. Mr. Jit finds teaching computer studies to be an exciting and interesting process and feels that there is so much to explore with students. Apart from teaching, Mr. Padhy has keen interest in long distance running and has already run five marathons in Taiwan. He loves football and is a regular follower of the English football club, Manchester United. He has also been greatly influenced by the Taiwanese culture and he has been enjoying exploring this beautiful island for the past year. 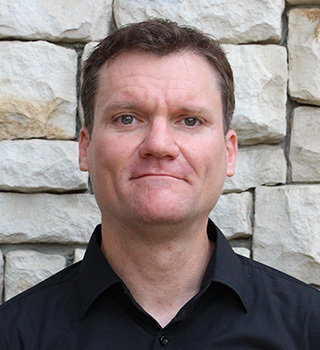 Mr.Padhy is excited to be a part of the vibrant and dynamic HIS team and he believes that he can create a significant difference in helping students learn about the various dimensions of computer studies. Melody grew up in Taiwan and went to the States to study for her MBA and TEFL certification some years ago. In the United States she taught Chinese to students from age 3 to 35 while taking her Master’s Degree. She really enjoyed the experience of her students of all ages trying to learn everything she taught them and to talk to her in Chinese. Melody feels that one of my skills as a teacher lies in developing and presenting different teaching styles to the learners to help them absorb knowledge and perfect their skills more easily and rapidly. Melody met her husband in Boston and he became one of her students. They decided to move back to Taiwan three years ago and she started working at preschool as an English supervisor while tutoring many foreigners in her spare time. She enjoys helping all foreigners learn Chinese in a fun and happy way. Melody’s hobbies are traveling, reading, exercising and spending time with family. She loves being a teacher and is looking forward to returning to join everyone at HIS. 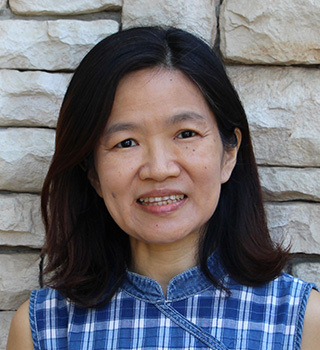 Mrs. Tsai majored in Chinese Literature at the National University of Kaohsiung in Taiwan, and received her masters Degree in Instructional Science from Leuven University in Belgium. After 5 years as a Chinese teacher in public junior high school in Taiwan, she was given the wonderful opportunity to teach in the experimental educational systems. Her experience ranged from Primary schools to Senior High schools over a 5 year period, allowing her to explore new and innovative ways to reach each and every student. Yi-Hui is currently teaching the Chinese native speakers in the Chinese Department at HIS. 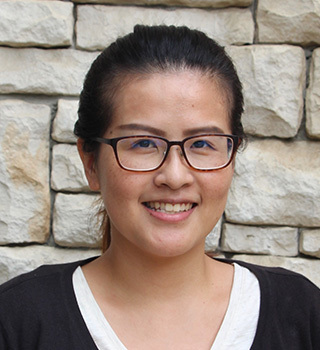 Yi Hui firmly believes that students can understand the meaning of life more deeply through education. With the wisdom and creativity cultivated through education, students and teachers can honestly accept and learn from both the positive and the negative aspects of life. A Taichung native, Joanne graduated from Nursing College in Taipei. From there she proceeded to work at the Chang Gung Memorial Hospital International Medical Center in Linkou where she was a leader of the ICU ward she had been maintaining for five years. She later moved to Hsinchu where she spent the next two years assisting in the operating room at the National Taiwan University Hospital. Since her time in the O.R., Joanne has been a personal professional caregiver for young children while raising a family of her own. Eager to rejoin the workforce, Joanne decided to combine her love for medicine and children and found a perfect match here at HIS. Joanne enjoys traveling and cooking as well as a good movie. She cherishes family and friends above all and is eager to help those in need. She is grateful to have joined such a great staff and team at HIS as the school nurse. 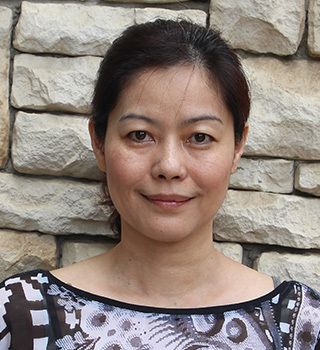 Lily Liu grew up in Taiwan and obtained her bachelor degree in National Taiwan University (NTU). 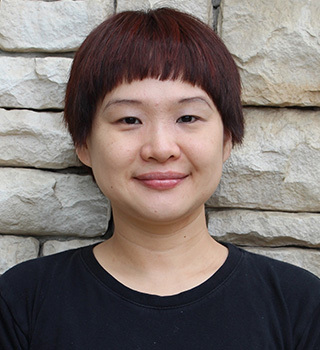 She has always been pursuing for what she is interested in, so she changed several working fields from language assistant at NTU language center, government project coordinator, to college lecturer. Not until a period of wandering time in her late 20s did she find herself passionate for deeply communicating with people, so she completed M.A. in Counseling Psychology at Boston College in 2008. She is devoted to counseling and psychotherapy career since then. She has worked with cancer patients with emotional disturbances in Comprehensive Cancer Center in Taichung Veterans General Hospital for almost three years. Now she is excited to join in the big family and to focus on enhancing students’ mental health in school. She enjoys working with the professional faculty and wonderful students at Hsinchu International School. Joy Kang - All-round Helping Hand! Ms. Joy was born in ChangHwa and has lived in Hsinchu 19 years. She has three children, two girls and one boy, at local Elementary and Middle Schools, and has been at HIS for 13 years. Her smiling face, friendly offers of help, and happy personality are indeed a “joy” at HIS! Out of school, Joy’s hobbies include hairdressing (she was a certified hairdresser before coming to HIS), singing, dancing, and hiking. Her ambition in life is simply to be happy and to live without pressure. Ms. Huang - All-round Helping Hand! Ms. Huang is constantly seen around HIS making sure that everything is kept in order and providing extra hugs and care for our students. This is her first year at the school and she has quickly become a firm favorite with her quiet, warm, and friendly manner.